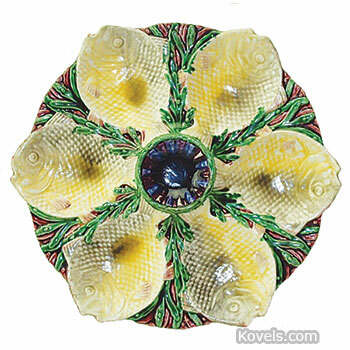 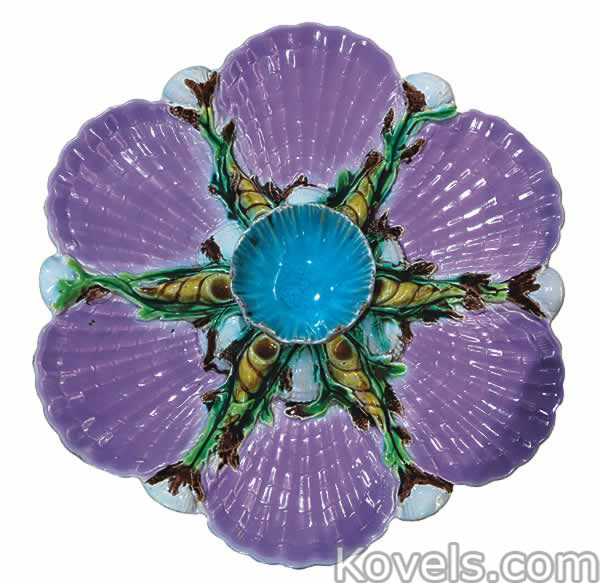 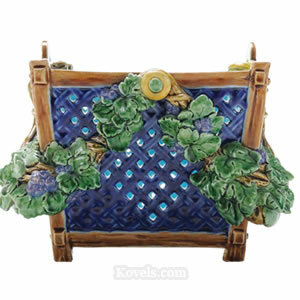 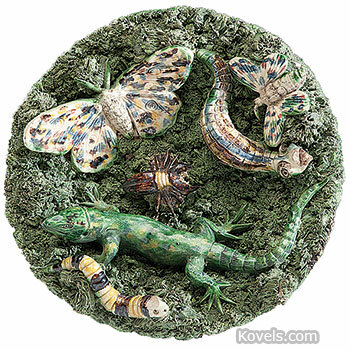 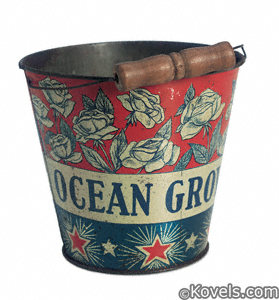 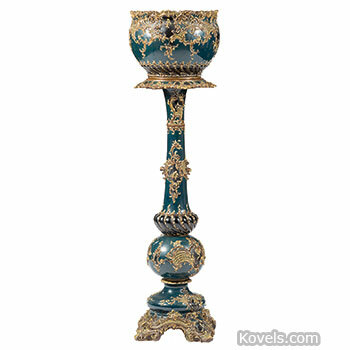 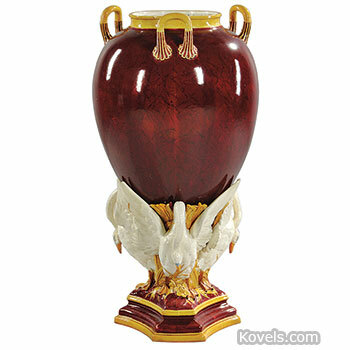 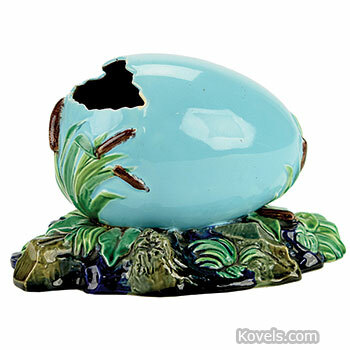 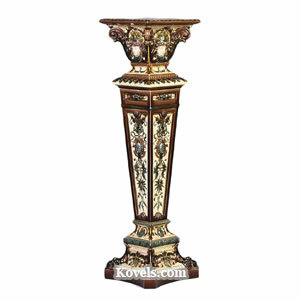 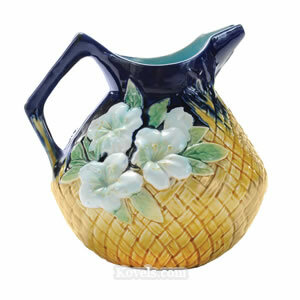 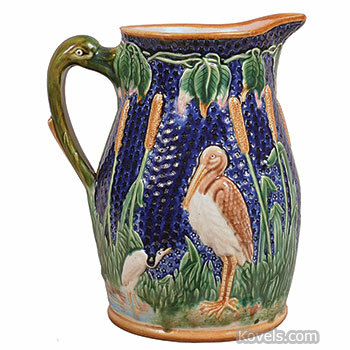 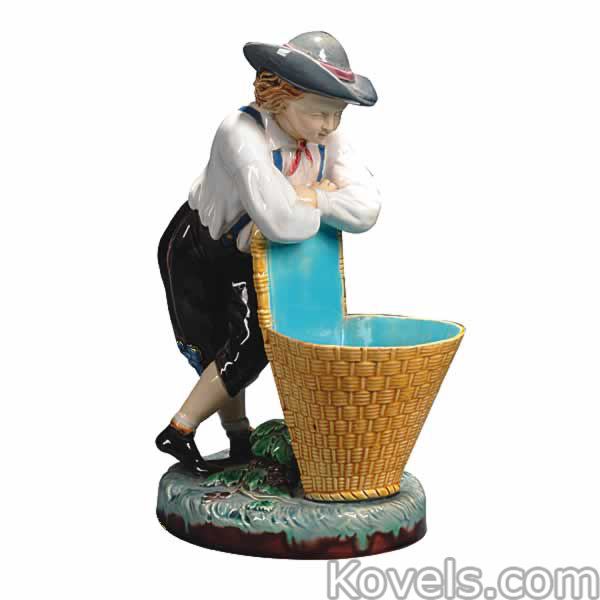 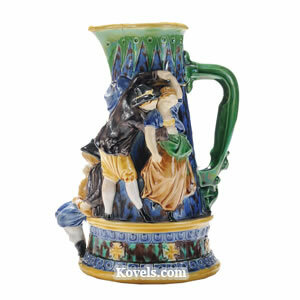 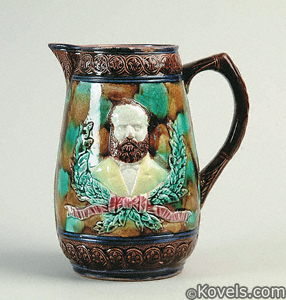 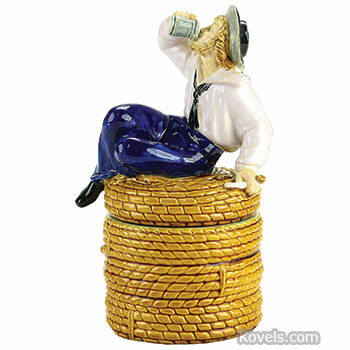 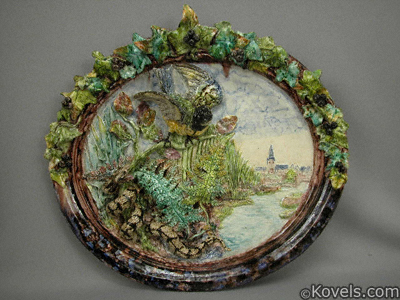 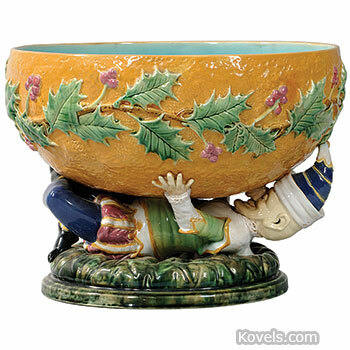 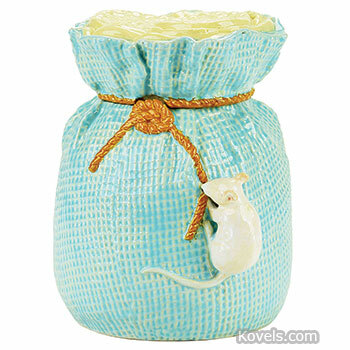 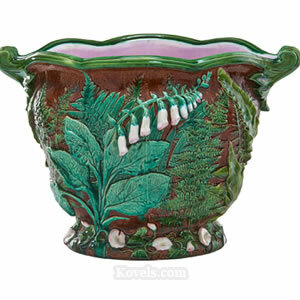 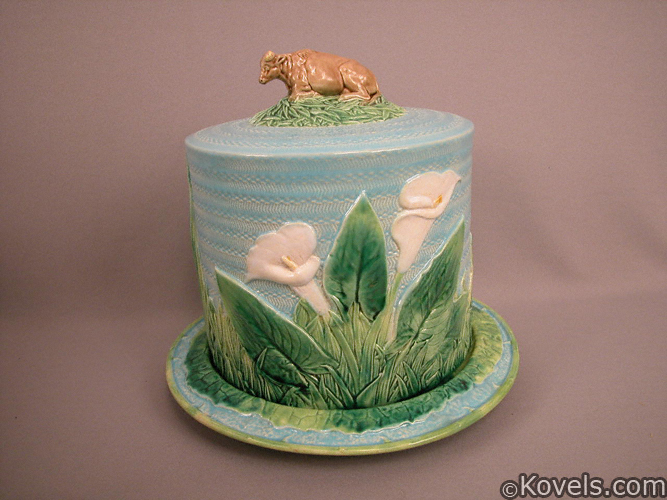 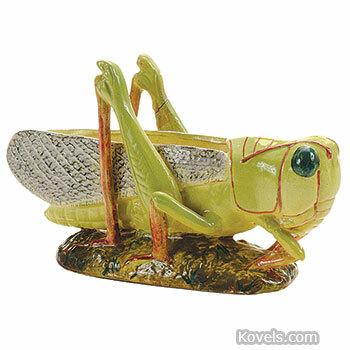 Majolica is a general term for any pottery glazed with an opaque tin enamel that conceals the color of the clay body. 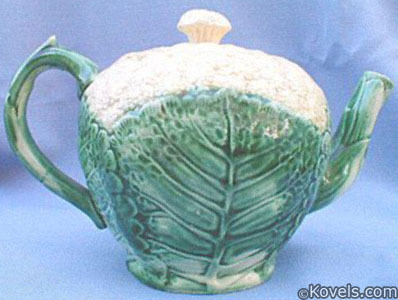 It has been made since the fourteenth century. 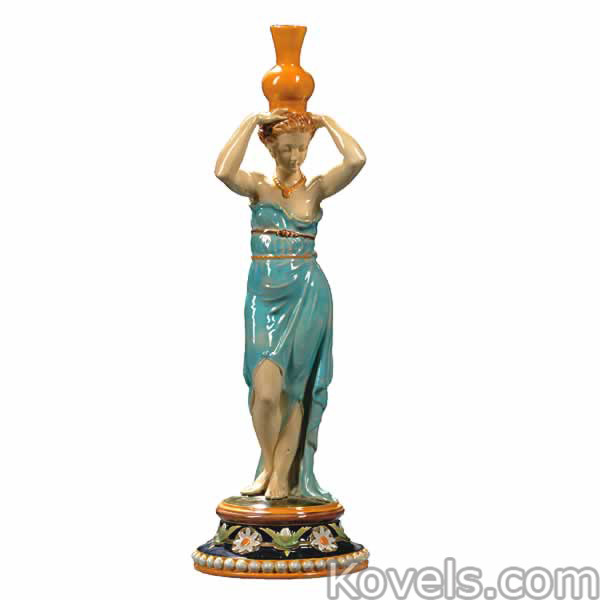 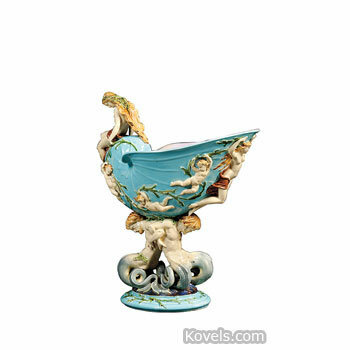 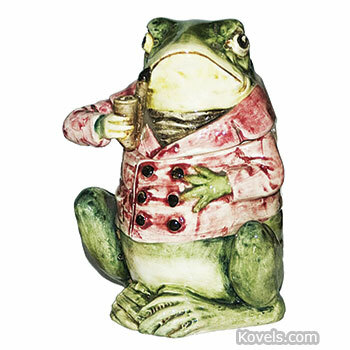 Today’s collector is most likely to find Victorian majolica. 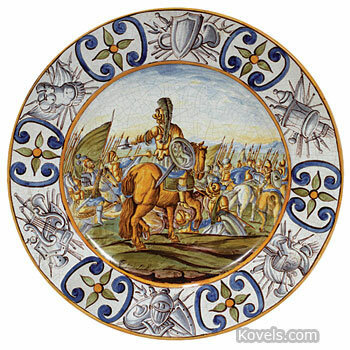 The heavy, colorful ware is rarely marked. 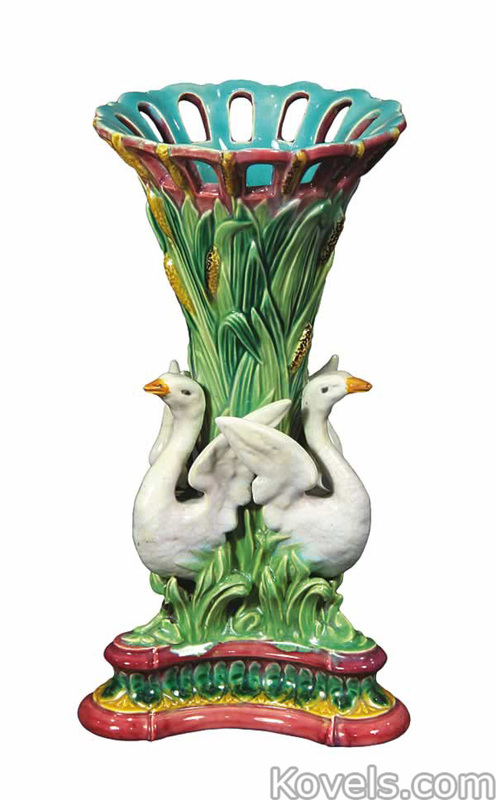 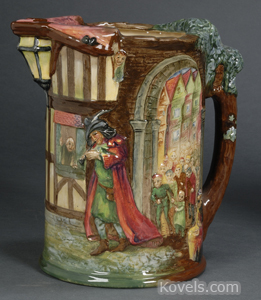 Some famous makers include George Jones & Sons, Ltd.; Griffen, Smith and Hill; Joseph Holdcroft; and Minton. 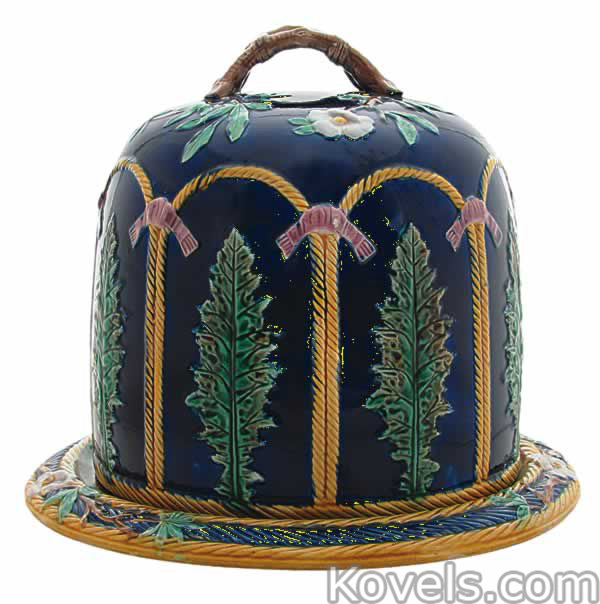 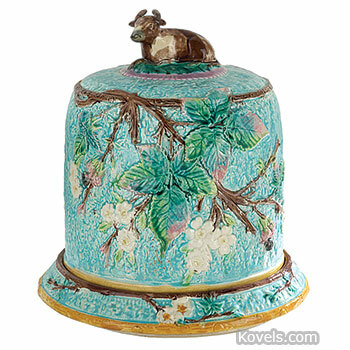 Majolica made by Wedgwood is listed in the Wedgwood category.